Home/Archive by Category "From the East"
Brothers, I cannot believe it is already June and with that, our break for the summer. Many of us will spend extra time with our families this summer or take a chance to escape the heat and travel. As we use our break to relax and rest, don’t forget though to reach out to brothers and widows who might need an extra hand when it is often too much to get outdoors. We have one project already planned to help out MW Bud Shed and I am sure we will have more throughout the months off. We will, of course, update our website and Facebook page with all necessary information as plans are made. If at any point you are in need of any assistance please do not hesitate to get a hold of myself or any other brother. Finally, my brothers, I hope you all have a great summer and I look forward to sitting with you in lodge. As Master of Mt. Moriah Lodge one of my top priorities for the year has been to provide opportunities for training and personal growth. So far, we have held multiple education nights as well as meetings dedicated to practicing degree work. As a result, I have had several brothers share with me how they are working hard on different parts for degrees. Some brothers are getting their feet wet by taking on the working tools while others are taking the plunge by studying lectures. For anyone that would like help with any part, feel free to give me a call or text and I would be more than happy to meet with you. 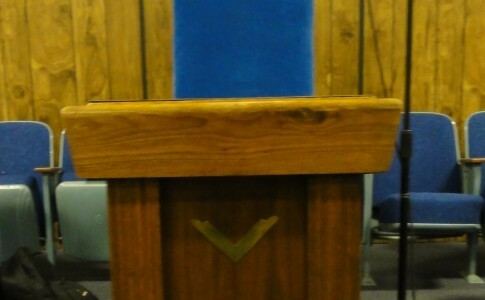 Degree work is not everyone’s forte though, which is why education nights are so important to the lodge. Over the past few months the education provided by our brothers has enlightened many and sparked curiosity in all those that attend. I highly encourage everyone to join the next education night we will be having later this month. All of the lessons we learn and practice in lodge are designed to make us better men outside of lodge. There is no greater example of this than how we help and support the families of our fallen brothers. This year has been difficult for many of us as we have seen too many of our brothers lay down their working tools for the last time but this month we can take a moment to celebrate their lives and honor their wives during our “Widows’ Dinner.” I look forward to seeing everyone there for this very important event. Finally, on a personal note, my wife and I were overjoyed to welcome our son into the world on the 6th. Theodore and mama are doing great and thank you to all for the kind messages we received. meeting and May the 4th be with you. Brothers, I have to start by thanking everyone for a fantastic GMOV. Chef Dia has once again given us an amazing dinner and reception. The Grand Master was very happy to have such wonderful food. I want to thank Tracy, Kylia, and Kendall as well for lending a hand not only for the GMOV but every dinner. Also, a huge thank you to Betty Snowden for crafting a desert that thoroughly impressed everyone. April will be an exciting month for myself and my family as we are expecting our son any day now. My wife was so pleased and thankful for the baby shower everyone arranged for us. We are continually reminded how blessed we are to have such amazing friends and brothers in our lives. Finally, I have to thank all the brothers of Mt. Moriah. A master is nothing without his brothers and all of you have helped me more than I can ever explain. Brothers, we had another great George Washington dinner with our Brothers from Acacia Lodge #49. Thank you to all of the Brothers and families of Acacia that helped put together such a wonderful gathering. During March, Mt. Moriah is honored to receive M. W. Mark L. Mancha, Grand Master of Masons in Nevada and his corp of officers on the 2nd for his official visit. Please join us for his visit at 7:30 pm with dinner prior to the meeting at 6:30. Finally Brothers, we will be providing free child IDs for students of Laura Dearing Elementary School on March 3rd during a Family Night from 4-5 pm. If there are any Brothers that would like to help out during this event please let me know. Also, Nevada Reading week is from 2/29 – 3/4 and every school often has guest readers to help encourage students to read. If you are interested in being a guest reader for my school contact me and let me know the dates and times you are available. I look forward to seeing you in lodge. January was a month that weighed heavy on my heart. Two Mt. Moriah brothers were laid to rest and though it was an honor to be a part of their funeral rituals and celebrate their lives with their families, it is an understatement to say that they will be missed. It is also with a heavy heart to inform you of the passing of our PGM Dan I. Newman. I need not tell you how great a mason Most Worshipful Newman was. Neither do we have the ability to list all the brothers that he guided with his wisdom. I know all of Nevada is feeling the loss of this great man. This coming month is always one of my favorites each year. Our annual George Washington celebration with the brothers from Acacia lodge is a reminder of one of Freemasonry’s greatest attributes, brotherly love and affection. I encourage all Mt. Moriah members to join us at Acacia lodge for fun and fellowship. In closing, I ask all of us to reflect on these words from one of our founding fathers, “I hope I shall always possess firmness and virtue enough to maintain what I consider the most enviable of all titles, the character of an honest man.” Brother George Washington. Brothers, I first want to thank you for electing me to be your Worshipful Master for 2016. I hope to continue many of the great aspects of our lodge as well as increase our outreach programs to help those in need. I know this year will fly by just as quickly as last year did but I look forward to getting out there and helping as much as we can. I also want to congratulate all of the elected and appointed officers for this year! A lodge is more than one man and with these officers as well as all the brothers in lodge we will continue to make Mt. Moriah an example of brotherly love and affection. I thank you all in advance for all the support I know I will need from you. I look forward to seeing everyone in lodge! 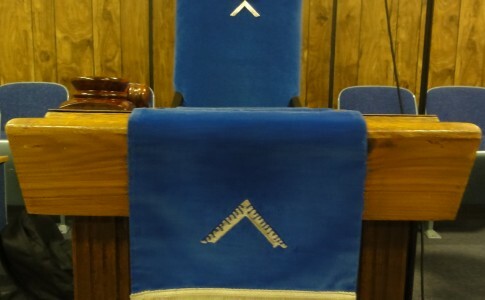 As the shadow of our year grows longer, it is again time to begin discussing Grand Lodge Resolutions, The Holiday Season and the Masonic Town Hall Meeting. The G.L. Resolutions will be read at the Stated Meetings in October and November. 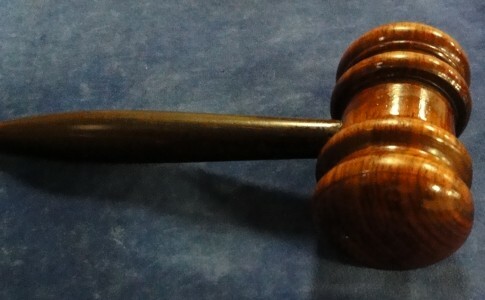 Our Lodge will vote at the November Stated on the Resolutions so it may be carried to the Grand Lodge Sessions. The best way to ensure a successful Holiday Season is to plan, articulate and execute. Please be sure to speak with our S.D. Dennis Ashley regarding children at the Christmas Party and also J.W. Tony York regarding the Thanksgiving Pot Luck. By working together we will make certain this Holiday Season is remembered as being filled with Fellowship and Cheer. 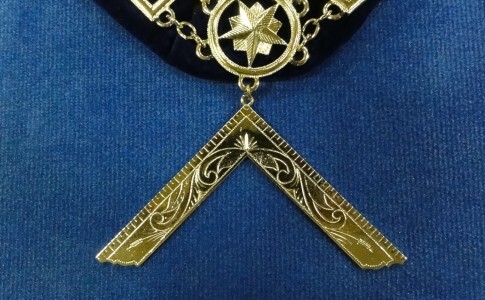 Our Grand Master has expanded the Masonic Town Hall Meeting to include all Master Masons, Fellow Crafts and Entered Apprentices. Please plan on being at the Henderson Masonic Temple Building on Saturday, October 10 2015 at 10 A.M. so that you may participate in this important event. In closing let me thank all of those who made the chili, ate the chili cleaned up after and set-up before or after for our Annual Chili Cook-Off. This is always a great event and this year was absolutely exceptional. A big SHOUT OUT to Betty Snowden who yet again amazes by adding those thoughtful touches that make everyone smile and feel welcome. I hope all of you had a pleasant summer and got a chance to relax with family and friends. Although I couldn’t tell by the weather, summer is apparently ending and September is upon us. Once again we pick up our working tools and return to the quarry. I am eagerly anticipating getting back to the work of our fraternity, and hope to see many of you in Lodge. The September Stated Meeting gives all of us a chance to share in some Fellowship and polish up our work. The year is passing us by quickly and I want to encourage all of you to reach out to a Brother who may need a ride to Lodge or a kind word of encouragement. I pray that none of us ever become so busy that we cannot spare the time required to make a phone call. My Brothers, so far, in my opinion we have enjoyed an excellent Masonic year. The Ritual Work has been good, the food and fellowship has been great and being able to be in Lodge with all of you has been outstanding. As we go “dark” for the summer I hope all of you get a chance to rest, relax and spend time with family and loved ones. I also hope You have a chance to get out and spend some time enjoying the handy work of the Great Architect. I eagerly anticipate seeing all of you at the September Stated Meeting recharged and ready to move into the second half of our year. Have a great summer! My Brothers, as we speed into April the symbolism of the Hourglass rests firmly upon my mind. Our Widows Appreciation Dinner was a great success and I want to thank all who participated. The Delinquency Committee has been busy contacting Brothers to say hello and check on their welfare. We are still working on finding a service opportunity that we can participate in as a Lodge. The Grand Master will be visiting Mt. Moriah on April 8 and we will have a practice to prepare for the visitation on Sunday April 5 at 11 A.M. As always I hope health happiness and prosperity follow you and your families. I look forward to sitting in Lodge with you in the very near future.